It is very rare that a company never undergoes a logo redesign, even Apple has undergone a logo revamp. We take a closer look at why you would want to revamp your real estate logo and how to approach it? More often than not, a logo has to be tweaked or adjusted to keep up with shifts and changes in your company (or the design world) and for real estate agencies that have been in the industry for a long time, this is truer than for one only a few years old. As mentioned in the opening paragraph, Apple underwent a major reboot from its first version to become the logo we know today. Logo redesign is not just a theoretical experience for us here at Entegral, we have taken not just one such journey but two! The Entegral revamp retained some of the design ideas from the first but was updated to fit with our more streamlined and cutting edge ethos. The colours were also modernised without completely forgoing the established brand identity. The MyProperty logo journey was quite the experience - the first logo in the traditional sense first made its appearance back in 2005 and over the years it has evolved to what you see now. Once again the brand identity remained intact and elements were added and tweaked to make it modern. How do you know it is time for a redesign? 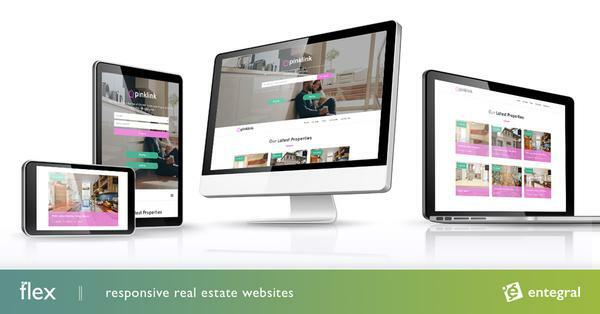 Has your real estate agency grown or changed? If you started out as just one agent and now have a team working for you, then a logo redesign could be beneficial to you. Competitive market? In an ever changing market, a logo redesign can show your existing clients that you are open to adapting to the new market and betting on your own future in the industry. Which will grow their trust in you as a real estate agent. Are you speaking to a new audience? You have an established customer base that’s loyal and amazing, but you’re ready to speak to younger consumers as well. A logo redesign may be just what the branding doctor ordered. Play it right and your new logo will help you connect with a new audience and still maintain your customer base. Have your brand’s values or mission changed? As your business grows, it may naturally evolve. If you are discovering that your company’s personality is different from when you first started, your logo should reflect these changes. Is your logo dated? It’s a simple and obvious question, but one that’s worth asking. If your logo was created in the 80s (and even a logo designed in the naughts will seem dated now) it may be time to enter the modern era. Not only is the aesthetic tired, but the design is probably not compatible with the myriad of technological devices that will be showcasing your logo—mobile devices, tablets and the like. Refreshing is a less dramatic approach. Think of it like a logo makeover that works with design elements that are already in place. During a logo refresh a designer will make small shifts to what’s already there by adding messaging, updating colors, or simplifying the entire look and feel. Some elements of a logo redesign—going with a new color or completely different design style, for example—will require larger changes to your branding and marketing collateral (like new business cards, a new website, etc). Now you will have to decide whether you will phase in your new logo over a period of time or if you’ll rip off the band-aid and introduce your new logo on a set date and celebrate the occasion with a formal announcement. Either way, you will have to update your logo across all platforms and company materials (email signature, website, Twitter handle, Facebook and LinkedIn pages, and so on). Remember that you won’t have to look very far for a designer on this logo reboot or refresher journey - Entegral has logo services available for you to use along with our Flex responsive website packages. It is an all in one solution!